Meet the world’s first open learning analytics platform that captures all of your organization’s learning data. Harness the power of xAPI and our proprietary connectors to gain visibility into all learning, not just the tiny fraction of formal learning that happens in an LMS. There’s no need for complex queries or data analysts. And because our focus is on L&D, we know what you need to get the job done. Choose from preconfigured reports that answer your most pressing questions, or tailor your experience with our Activity Explorer to build the perfect dashboard. Use real analytics to gain real insights. Watershed does more than offer a few charts and graphs. Gain deep insights into your learning program so you can prove how it's impacting employee performance and behavior. 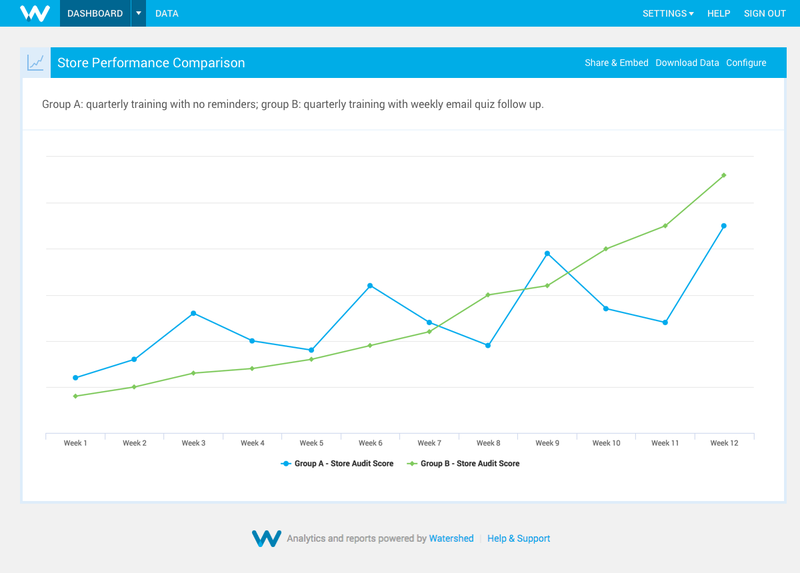 Search for trends and correlations yourself, or let Watershed find them for you. Sharing insights and results just got a lot easier. Send reports to colleagues or embed them in your intranet, portals, or other systems. You can also download your data anytime or feed it into other business intelligence tools for broader analysis. Whether you need simple compliance reports or advanced Bayesian modeling, Watershed has something for you. Here are just a few ways Watershed gives you unparalleled insights into your learning programs. Break out results across your organizational hierarchy to identify patterns in learning performance. Find out if increased and/or improved training is indeed correlated with higher performance. Stop wasting time and money on learning that isn’t used or applied on the job. 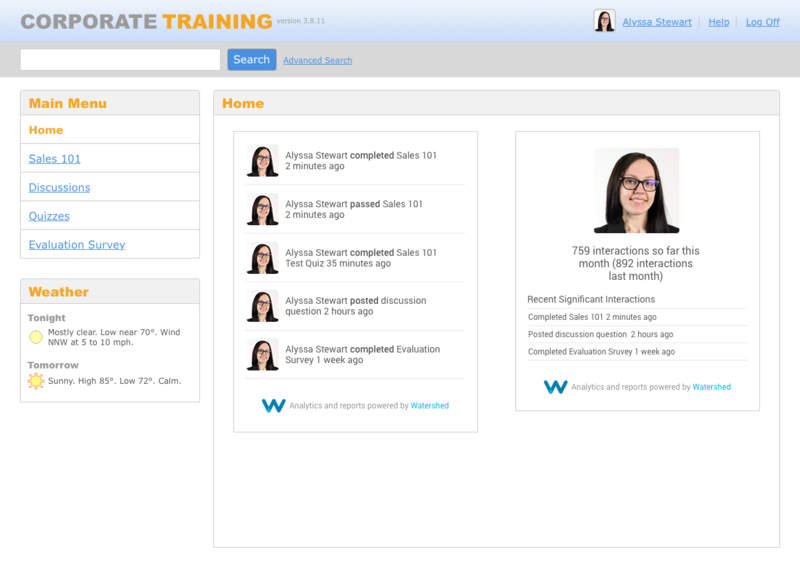 Show knowledge acquisition and performance improvements to ensure training effectiveness. Use Bayesian modeling to predict who is likely to finish or drop out of a program. Find the topics people want to learn about to ensure you’re providing the most relevant and comprehensive resources. From guiding you through the technical implementation to helping put your analytics to work for you, Watershed’s industry experts will be your wingmen. Your nerds will love us. Watershed includes all the tools your IT folks crave. We come from a long line of developers and love making the lives of our fellow techies easier. We work with some of the world's biggest companies and know what's important to you. Security, scale, SSO, HRMS/ERP integration—you name it.